Picture a dining car in the Orient Express as outfitted by Hermès, with luggage racks stocked with books and Baccarat crystal. Such is the vibe that designer Philippe Starck created in the SLS Beverly Hills’ private dining room, which seats no more than 20 just three nights a week. 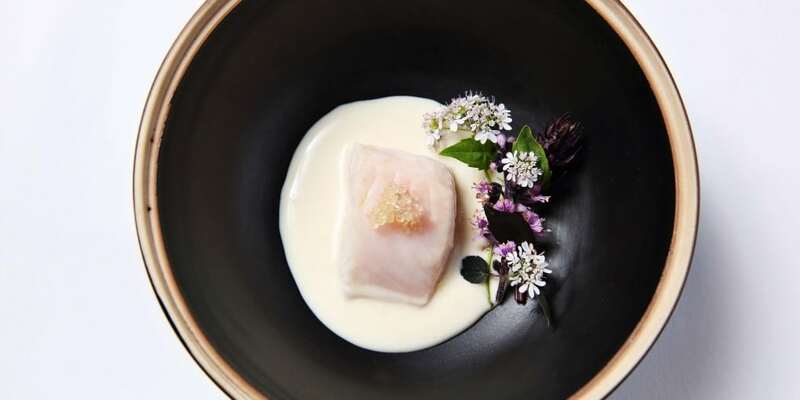 Saam’s $150-per-person tasting menu offers some two-dozen savories and sweets, expertly delivered and explained by an attentive and attractive wait staff. Envisioned as a testing ground for dishes that might make the menu for the hotel’s popular but more clamorous restaurant, The Bazaar, Saam gives mad scientist and molecular gastronomist José Andrés, a disciple of El Bulli’s Ferran Adrià, the opportunity to perfect food fantasies. Among them: thermo-whipped passion fruit espuma for cocktails, Peking duck in a cotton candy dumpling, spherical cheeses and vegetable gnocchi that explode in your mouth and liquid-nitrogen-treated crispy bites such as Dragon’s Breath, which, when you chew it, sends vapor through your nostrils and pretty much blows your mind.